Brought to you by Home Chef. 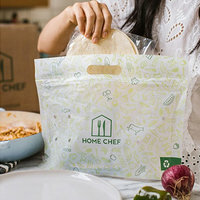 We’ll be the first to admit it: We assumed ordering meal kit services meant spending extra money... but Home Chef has proven us wrong, and we couldn’t be happier! You get fresh ingredients in the exact amounts you need, so you’re not wasting money on excess food that inevitably goes to waste. In fact, a study of four popular services found that Home Chef saves the most money, costing close to 15% LESS than the supermarket! Each week, you get a whopping 18 menu options, including 5-minute lunches, vegetarian meals, reduced-calorie entrées, AND lower-carb choices! Lisa’s Trick: To save even more calories, swap the oil for cooking spray and use only half of the salad dressing. 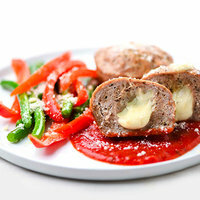 You’ll still have mega-flavorful meals in minutes! 4. Get $35 Off AND a Chance to Win HUGE Prizes! 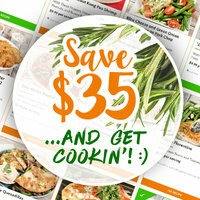 Just use coupon code HUNGRYGIRL to save $35 on your first week of Home Chef meals. That means you can get THREE two-serving meals for about $25 total! (Ends 9/26/18. New customers only.) And shipping is ALWAYS free on orders over $45. Woohoo! 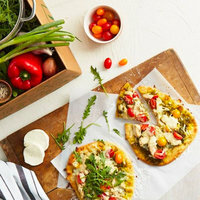 BONUS: Order Home Chef for the next four weeks to be automatically entered in the Meal Makeover Sweepstakes. You could win AMAZING prizes like $1,000 worth of cookware and a $1,000 Home Chef credit... Click for details! The closest thing to having a home chef is ordering Home Chef... Try it and see!